I love free stuff. I do. It's just how I was raised. So when I started Stan's Tech Garage, I reserved the stansgarage.com domain, bought an inexpensive web hosting service, and used the mostly reliable, unlimited free email that came with it. Now obviously free Internet email has it's limitations. It's tough to keep in sync across multiple computers, and you can pretty much forget about keeping all your contacts and calendars up-to-date. This is basically Google's answer to Microsoft's Exchange server for enterprise E-Mail and collaboration. Now the good news for you smaller organizations is that it's free for up to 10 users, but lacks a couple of the most advanced features. Fortunately those features are probably ones you won't be using. The bad news is that if you need more than 10 users, it clocks in at $50 per user, per year. 10 users free, 11 $550 year. Just keep that in mind. The other drawback, it's Google, so they'll be targeting you with their keyword based advertising. Is it a violation of privacy? Probably. Are they fairly secure with your private data? I hope so. Should you feel confident hosting your company's confidential email on another entity's servers? That's really for you to decide, but over 4 million companies, big and small, seem to think it's alright, and if their legal and regulatory groups think it's OK, then who am I to argue? Now my motivation for moving the Stan's Tech Garage email to Google Apps was not really motivated by the cost (we're still small enough to use the free account), or the Calendar and Contacts sync, or even the seamless integration with my Android phone and tablet (I gotta say that it is awesome though). No, honestly, it was the reliability that sold me. My cheap host's email was going down far more often than I could accept for my business. I registered for an Apps account long before I actually migrated over to it. The last time my hosting company went down, I couldn't take it any more and migrated my account over to them. Google Apps boasts 99.9% uptime. Couldn't really ask for anything more. The only thing I really regretted was not doing it sooner. 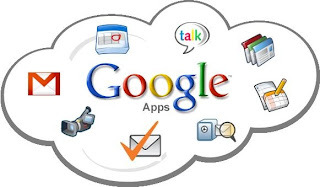 Google Apps is an invaluable free (for the time being) tool to the small business. Especially if you're an Android phone user (but it works great with iPhone too), and it runs great on Macs or PCs with whatever standard email program you prefer or right through the familiar Gmail interface. If you don't like ads, I suggest loading up your Firefox or Chrome with the latest version of AdBlock Plus and you'll never even see them. If you use IE, well, you've got bigger problems. Honestly, you can have an enterprise-class email system with Google Apps for just the cost of registering a domain name. Can't really beat that.